HOLLAND, Mich., Jan 15, 2019 (SEND2PRESS NEWSWIRE) -- Almost Heaven Saunas is being acquired by Harvia, the leading sauna heater and component manufacturer. 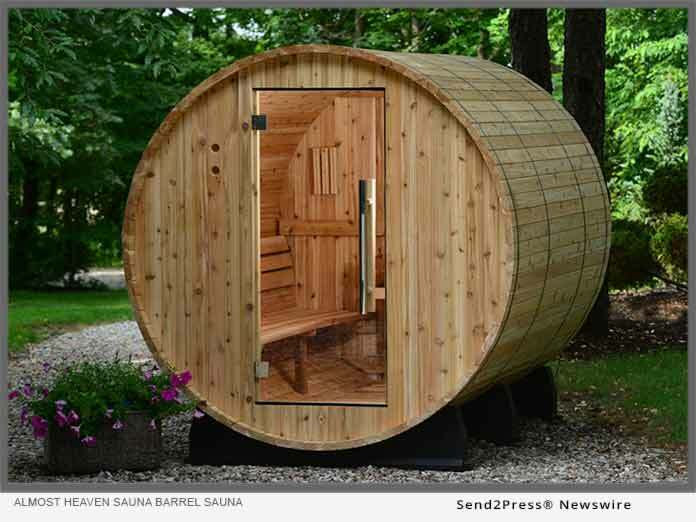 Harvia Oyj, has announced that it is purchasing U.S. sauna manufacturer, Almost Heaven Saunas. This acquisition will enable Harvia to offer better and more extensive service to its customers in North America and provide Almost Heaven Saunas with added products and resources to continue its growth in the consumer sauna business. Almost Heaven Saunas was established in 1978 and has seen rapid growth in recent years. The company manufactures thousands of saunas each year with 2018 sales volume exceeding $10 million. The company employs approximately 40 people and has a sales office and product showroom in Holland, Michigan and manufacturing facilities in Renick, West Virginia. "The acquisition of Almost Heaven Saunas is a significant step in developing our business in North America. Almost Heaven Saunas has been Harvia's client since 2013. The company's growth has been strong in the last few years, which combined with the work done with our other clients and distributors has resulted in positive sales development for Harvia in North America," says Tapio Pajuharju, CEO of Harvia. According to Almost Heaven Sauna president, Rick Mouw, "This acquisition is a wonderful opportunity for Almost Heaven Saunas. To be a part of the Harvia Group aligns us with a truly great global sauna company. We can continue our growth with the added resources and expertise that Harvia provides, while at the same time supporting and servicing Harvia's other distribution channels in North America." The transaction is expected to be complete by January 2019.